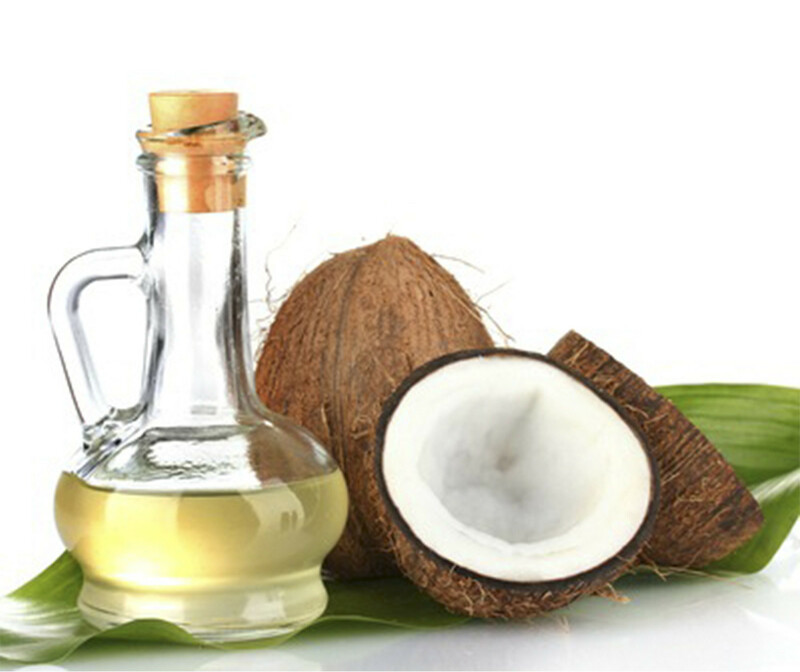 Coconut oil is extracted from fruit pulp of coconut palm called Cocos nucifera, its common name is coconut. Coconut oil is cold pressed and unrefined, i.e. purified. It has sweet aroma and state of white, thick fat. Above 20°C – 25°C it melts and changes the physical state into yellowish liquid. Product should be kept in a bottle made of dark glass and far away from light and humidity. It can be used for care of skin, hair and scalp. We can use it instead of: conditioner for split ends, anti-frizz wax, mousse, antistatic liquid, preparations against hair loss. Coconut oil can be great addition to washing products, which we use in everyday hair care. We can add it to our favourite conditioner or hair mask. Of course, coconut oil will be great also as an individual cosmetic. On damaged ends, coconut oil will have regenerative influence. Small amount of it heat in hands and rub in hair ends. In this case we use coconut oil as a leave on conditioner. It can be also applied as a hair mask before hair wash. Then you should massage cosmetic into hair and scalp and wrap in plastic cap and/or towel. After approximately a half an hour to an hour wash your hair with a shampoo, and leave hair to dry. Remember to not apply to much of coconut oil, because it can weight hair down and leave them greasy.